The Chalara Control Strategy can be found at http://www.defra.gov.uk/publications/2012/12/06/pb13843-chalara-control-plan/. 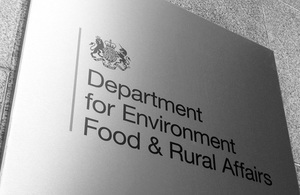 Further information on the Task Force and its report can be found at http://www.defra.gov.uk/publications/2012/12/06/pb13842-tree-taskforce-interim/. For further information on ash dieback visit www.forestry.gov.uk/chalara. Information on other pests and diseases that pose a threat to our native plants and trees can be found at http://www.forestry.gov.uk/chalara.